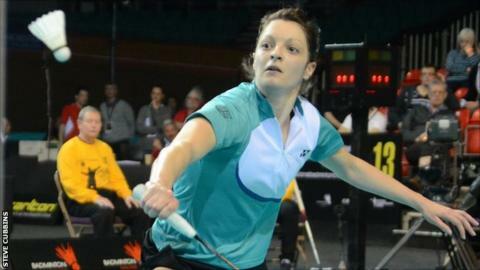 Sarah Walker has set her sights on competing at the 2016 Olympic Games in Rio after becoming English champion. Walker, 23, beat Fontaine Chapman to claim the English title for the first time last weekend. She told BBC Essex: "I'm always thinking about the Olympics and Commonwealths. Your whole career is working around them." Walker is part of the England team that will compete at the European Mixed Team Championships in Russia next week. And she added that she is one of a number of young players coming through the system to be inspired by the success of British duo Nathan Robertson and Gail Emms. They won a silver medal in the mixed doubles event at the 2004 Games in Athens. Walker continued: "We're a young team. We are still finding our feet and trying to get some results and prove we can all do it. "What they [Robertson and Emms] have achieved has been great for badminton. Hopefully we can step into their shoes." Walker's first national title came after near misses in the previous two years. She was a beaten finalist in 2011 and made the semi-finals a year later.